Caveasy won the vote of the jury and the audience at Vinocamp Paris. The concept answers a simple question with an answer which is very useful for any wine lover: What do I have in my cellar? Where is this bottle stored? Under what conditions are my wines maintained? Caveasy is the first connected bottle storage solution. Who are you? We are a team of four in our forties, wine lovers and amateurs working in innovation and digital. Was the concept of Caveasy born from a personal experience? The problems Caveasy answers are indeed problems we face personally. We do not necessarily have the time, and are not sufficiently disciplined, to maintain a cellar log. As a result we do not know precisely what we have in stock and pick a bottle for a meal like a treasure hunt, rather than a formality. What were the three first stages of building your startup? At first we bought together the skills. Caveasy, like any connected project, is an adventure in both software (for programming and mobile), and also hardware (in terms of design and manufacturing of the object). Then, we needed to go quickly to see if the market responded to this concept. Finally, we looked for partners that will allow us to complete the project. 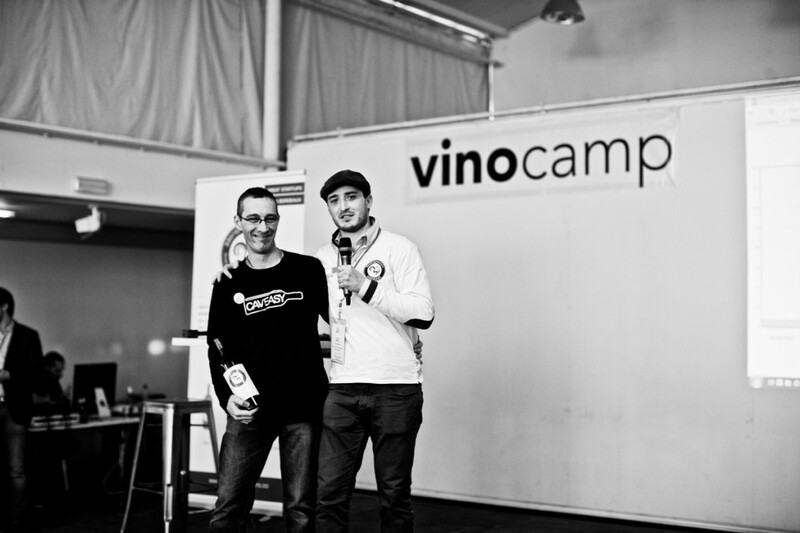 You won the # 33contest of Vinocamp Paris last month, bravo! Have you ever participated in other competitions like this or was this a new experience? We participated at the competition organized by 33entrepreneurs at Vinocamp. Until then we had not advanced enough in the project. First of all, we wanted to participate in Vinocamp to meet amateur wine lovers and those open to new tech. This seemed to us to be the ideal place to gather initial feedback. Then we thought of the competition, as a ” why not” and it worked! The connected cellar is a growing phenomenon, how do you stand out? Often in this kind of adventure, timing is the key. We must try to stay ahead and offer the closest product to user expectations. We are working in this direction, paying particular attention to the user experience for both the application and also in the use of the object. What are the next steps this year to ensure your success? The next key step is, of course to carry out the industrialisation phase. We will also have an important meeting with our potential customers through a crowdfunding campaign. In addition to allowing us to raise funds, it is also a test of the attractiveness of the product. Any advice for future entrepreneurs? The tips are plentiful in the world of entrepreneurship and there are plenty of advisors as well … I would not want to add one to the list, but I’m open if people want to discuss their entrepreneurial experience. Thank you and good luck and enjoy well this week in Bordeaux at 33entrepreneurs, we hope to see you at an upcoming Vinocamp! Visit Vinocamp Paris images here.